There’s nothing like spending the day horizontal and binging on an entire season of your fave TV show. Yeah, maybe it’s not the healthiest activity and, sure, being outside or reading a book are better alternatives. But sometimes you just need to stuff your face with potato chips and devote five plus hours to Walter White and company. We are all about all forms of entertainment and just as we have book recommendations at the ready, we can also name five series that kept our eyes glued to the tube. This is Bookmans Recommends: Top 5 Shows for Series Binging. If you haven’t jumped on the Doctor Who train, or TARDIS if you will, then we implore you to do so. The show has been around for 50+ years now. We don’t expect you to start with series one but if you like aliens, time travel, bad yet charming special affects and British accents, then Steven Moffat’s continuation of this classic series is right for you. With adventure and laughs in every episode Doctor Who is chock-full of fun and Wibbly Wobbley Timey Wimey stuff. 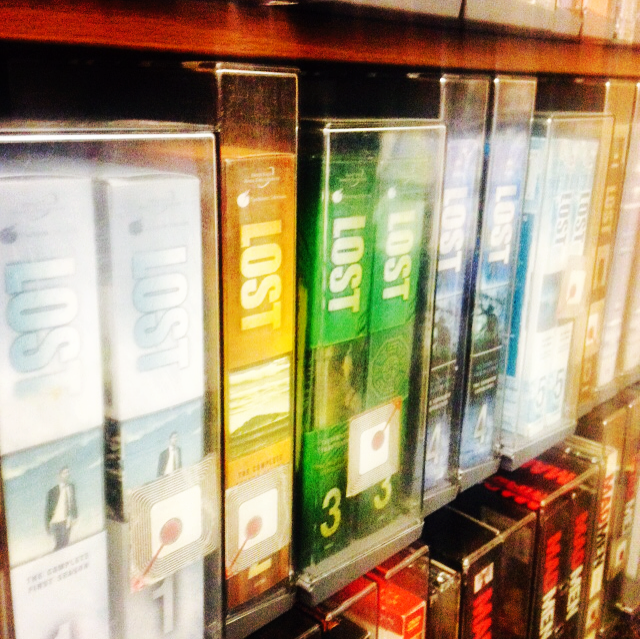 Full of suspense and thrills, Lost is addictive in away few shows can match. Are they dead? Is this limbo? Is there even an island? These are the questions you will ask yourself once you fall down the rabbit hole that is Lost. In this show, survivors of a plane crash work together to regain some sort of normalcy while being stranded on a tropical island. They soon fall victim to the mysterious goings on of this pacific island paradise. From the makers of The Office comes this hilarious comedy about local government. The ever optimistic Leslie Knope, played by the legendary Amy Poehler, and her unenthusiastic coworkers, including her Libertarian boss, try in vain to solve local government issues in their small town’s Parks and Rec department. Overcoming budget cuts, interoffice relationships and fart attacks, you’ll laugh the entire time while trying your hand at creating your own version of Snake Juice. Mathew McConaughey and Woody Harrelson star in this detective anthology series. The first season takes place in Louisiana after an overlooked detail reopens a case after 17 years. Each season introduces a new setting and set of characters with the second season taking place in California. Totally addicting. It’s no wonder the series has been nominated for both a Primetime Emmy and a Golden Globe. And finally… (you knew it was coming). With season six premiering in October and a spinoff series in the works, now is as good a time as any to get acquainted with Rick Grimes and the gang. Specifically, You must meet the ultimate badass Daryl Dixon, played by real life badass Norman Reedus. Yeah, Reedus — Southern accent, no sleeves and a crossbow. If that’s not a reason to start watching a show then frankly we don’t know what else to tell you. Oh, wait! Did we mention ZOMBIES? Yup, the Zombie Apocalypse has happened and with no end in sight this series explores the reality of what it would be like to be the sole survivors in a world overrun by the undead. 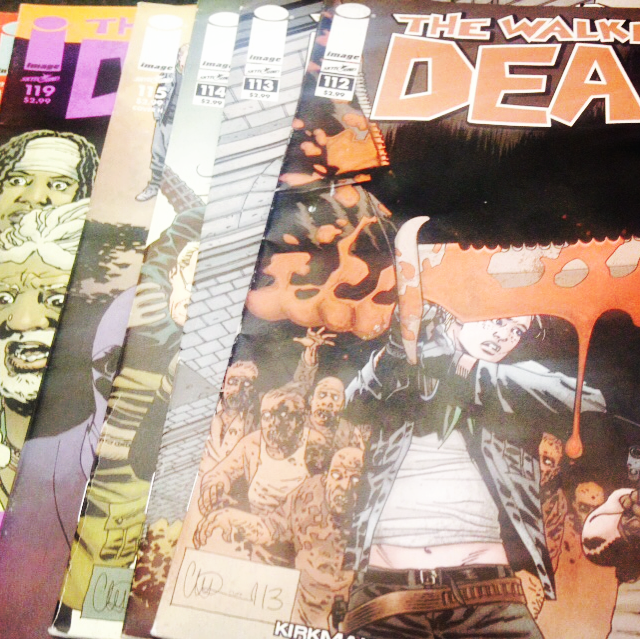 Also if you have already seen all of The Walking Dead, try your hand at the comic book series. Written by Robert Kirkman and penciled by Tony Moore, The Walking Dead comics make for an even more entertaining and fun ride than the TV counterpart. 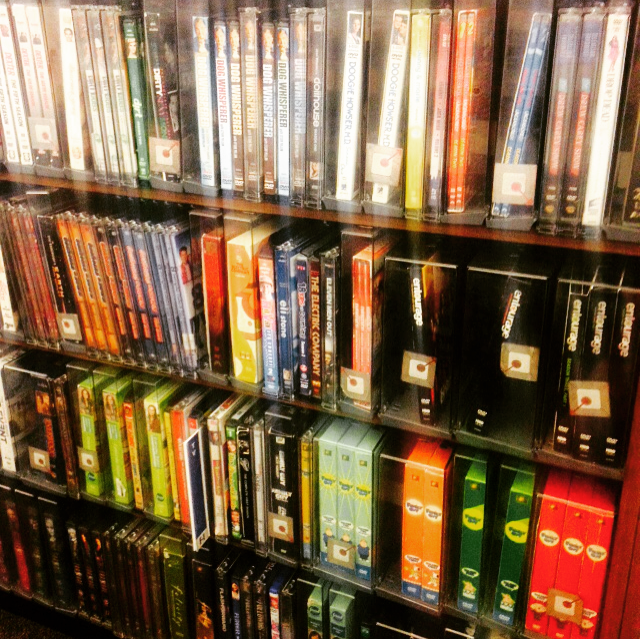 All of these series could be found in the TV section at Bookmans. We can not guarantee stock however, so call ahead to ensure we have the season you are looking for and a Bookmans team member will be happy to assist you.